Woodhead sought to venture into retail outlets, such as Home Depot with its Stringlight, Hand Lamp, 360º Worklight and Retractable Outlet. Designed 2-color and 4-color packaging as well as point-of-sale displays. 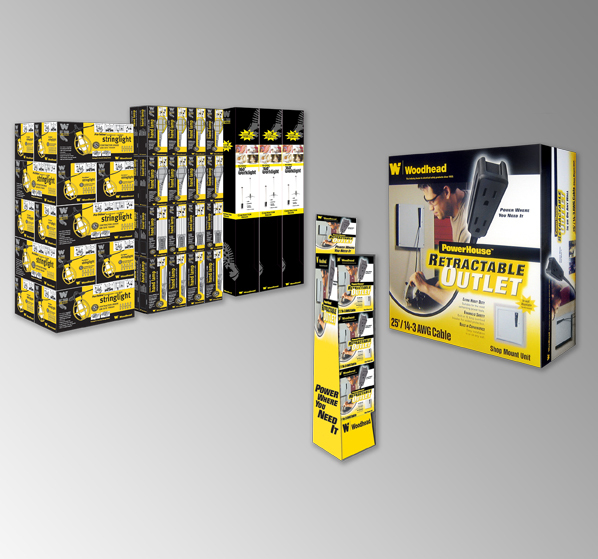 Create multiple comps for trade show launch.